Weeks (or longer) before the trip I start looking online for stuff to make and/or print. Do a search on file folders or busy bags and you will get a ton of ideas to adapt for your preschool children. I make a Binder of Fun for the 3 year old, and will soon for the 1 year old. This is a 3-ring binder with folders and sheet protectors full of activities. My Pinterest board has a lot of great ideas as well. Don’t forget you have a whole ride back to entertain them on as well. Markers, especially if it’s a rental (Color Wonder is fine). Any kind of dough or putty, including play dough (ok for stops). Bubbles, those are for stops too. Gum – you will only get gum on the seat of one rental car, then you won’t do that again. And preferably no vomiting. Your best secret weapon for the Binder of Fun is your Lisa Frank Trapper Keeper you still have from the 80s. Unless you have all boys. But maybe still then. A zip binder would be my second choice. This will have a ton of fun stuff that is mostly flat in it. I made one folder with play dough mats and will bring one small tub of playdough, for use when we stop and everybody else is getting their act together. I printed out some paper toys. I printed out some worksheets, like handwriting practice. Many things can be put in a sheet protector, marked with a dry erase marker, erased with a wipe, and reused. I used several ideas for busy bags to make little activities. The flat ones will go in the binder. The bigger ones will be packed up for surprises. Print a copy of your route and use colored star stickers to divide up your trip. Put a star on a city the kids can recognize from road signs, or at a spot you plan to stop. Kids like having their own map. There are a lot of great ideas online for tracking your progress, like stringing a piece of yarn across the ceiling of the car with little cards to track your progress. 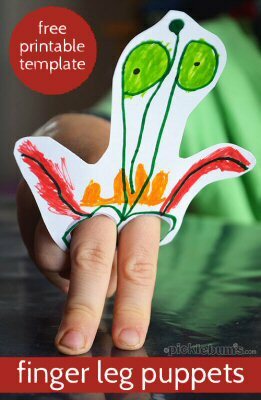 Little ones like the visual aid and can understand better than telling them you’re halfway. Some people call this the travel fairy. Last time I wrapped every item in the holiday wrapping paper that was coming out of my ears. This time I will wrap items in newspaper and printer paper, but you could just throw everything in paper lunch bags. Have the kids decorate the bags or paper as part of your exciting build-up to the trip. Some moms say to get some stuff from the dollar store and reward them with a surprise every hour. 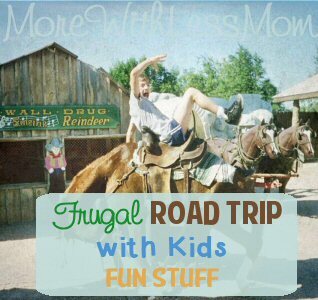 4 kids on a 12 hour trip is nearly $50, so we won’t be doing that. My bags will be filled with some activities, some snacks (some will have enough for everyone and the 3 year old can hand them out), and some of her old toys just presented in a new way. If you use paper lunch bags you can stick this stuff back in for the trip back. Last time I made a basket of these and thought she could pick the one she liked, but in reality during the trip we were usually reaching for these on the road and she got the one we could reach. When we stopped I let her pick out the next one she wanted and we put it in the crate next to her for the appropriate time. If you use the ceiling Road Trip Countdown (http://www.thedatingdivas.com/tara/the-road-trip-date/) you can pack some special surprises for each of the stops. If you have kids that chorus “are we there yet” for the entire trip the anticipation of these might help stave off the cabin fever. Color Wonder is great in the car, it’s markers that only color on the Color Wonder paper. If you have a discount store near you sometimes somebody overbuys the little packs of these and you can get them cheap. Dino Feet put them on when you get to a rest stop! Dry erase board the dollar store has a smaller dry erase board, I got a skinny one with a grocery lister that can be tucked in the binder. There can be lots of drawing on this board, and playing games like tic tac toe or connect the dots. You have to keep track of the dry erase marker, though, and sometimes the big ones stink so do a sniff test before you leave. Operation Beautiful . Bring a bright pack of postits and write bright messages like “Be who you are” and “You are amazing.” Explain to the little ones what you are doing. 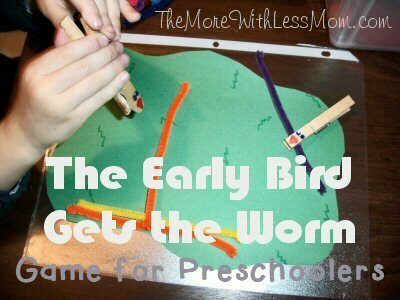 Pipe Cleaners are great for open-ended play. You can string pony beads or straw pieces on them. 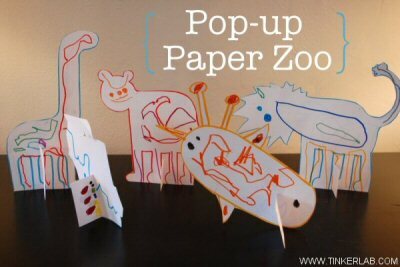 You can make animals and figures from them. You can make a crown with them. Sticker books are fun and are at the dollar store. When I was little we had Colorforms and if you have any of these vinyl/reusable stickers they are a great travel toy. Tape Bring a couple different colors of painters tape, and a couple regular transparent tapes. 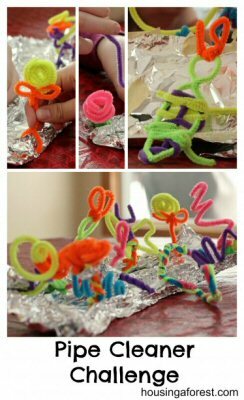 Let the kids make a spider web between them and then create a spider with the colored tape. Just remove the tape at the next stop, or if it’s cool it can wait until you stop for the night. They make lots of neat colors for duct tape now and older kids can make stuff with it. Go to the library and load up on free entertainment. At my library all movies are 1-week loans, so you might have to skip those. But almost everything else that isn’t new is a 30 day loan. You can get books and music. At most libraries you can now get free ebooks and audio books to download. I can download music right from my library’s site. If you have an ereader you can check on Amazon or Project Gutenburg to load up on free books. You can read ebooks on your tablet and smartphone as well. My hubby likes audio books and will load up on those from the library or Podiobooks . I can’t pay attention to them. And drive. Safely. Reload your MP3 player or iPod with new music and playlists, or make mix CDs. I like to make “Road Tunes”, Time Life “Modern Rock” 80s mixes, Rat Pack mixes (think Sinatra and Buble), and good kid music like They Might Be Giants and The Laurie Berkner Band). Don’t forget about the Fade button on the car stereo, you can send The Laurie Berkner Band to the back of the car for a while. If you don’t have a CD player in your car you can still play music. You can use a personal CD player and get a thingie that goes in your tape deck, or a thingie that broadcasts your MP3 or CD player to your radio. What do you do to make the long stretches in the car more tolerable? 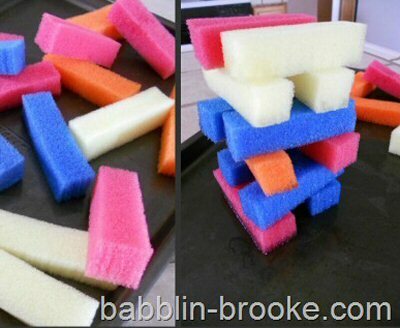 so many awesome ideas to keep kids busy. I might whip up a few of these to take with us to a hospital appointment where there will be loads of waiting around! Thanks.